1. Go to the hardware store looking for something out of which to make robot legs. 2. Find nothing but an absurdly long piece of PVC conduit, but hey, you could make a lot of robot legs out of it and it's only 3 bucks. 4. Wonder if you'll have to walk home because conduit is so long. End up barely fitting it inside your tiny Honda by bending it all the way around the inner passenger side and back seat. Maybe I should have asked them to cut it in half for me. Turns out that hardware stores will do that kind of thing sometimes. Oh well. Anyway, that's for another project later. Got to finish with the eyeball first! I was first introduced to this highly useful circuit by a page on the Imperial College of London web site, but it has since been taken down, and I found myself without a reference for the circuit when I needed it. I think I can credit this site for helping me rediscover the circuit. 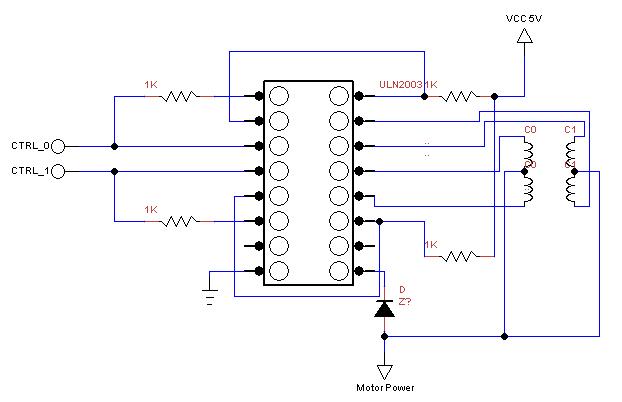 Note that there is a separate connection for the motor power voltage, which is allowed to be higher than the logic voltage. In this project I didn't want to power the motors with more than 5V, so I just tied the two power connections together. The control circuit is small enough that I was able to squeeze the drivers for both motors onto a single small square of proto-board. The other board in the eyeball holds the (socketed) ATTiny, a voltage regulator with its capacitors, and a switch. That's it! I used an Arduino Leonardo to program the ATTiny85. 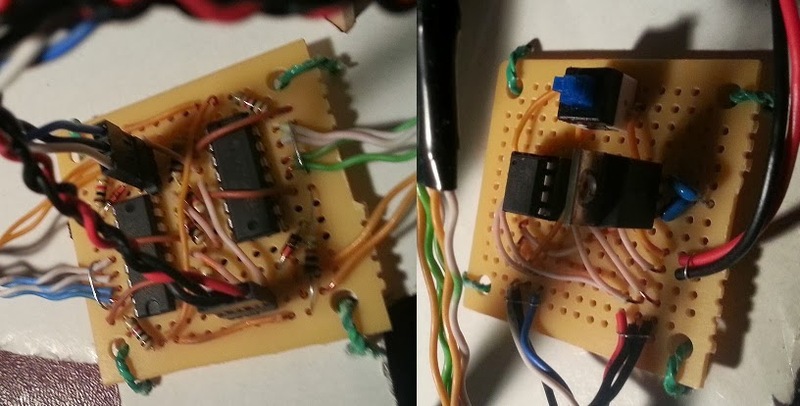 The availability of this technique was a major driver of my decision to use an Atmel microcontroller for this project. I've always been deeply frustrated by the fact that affordable microcontrollers often seem impossible to program without purchasing an expensive dedicated programmer board, or building a homebrew programming circuit that itself requires a programmable chip (leading to a chicken-or-egg problem, unless you know somebody who already has a programmer). I have some old Freescales whose datasheet included a programming circuit that I was able to build myself, but they're essentially obsolete now, and I needed a new solution. An Arduino board costs $25 or less, is friendly with various microcontrollers in the Atmel family, and can be used for other things besides just programming other chips. Woah! Shockingly, there were no compatibility problems with my computer, and though the process of getting the Arduino set up for programming wasn't as straightforward as it could be, everything worked the first time I tried it. I used the instructions given here and here. Software for the microcontroller was written in Arduino's high-level code language. I didn't use any pre-existing stepper motor libraries. Creating a loop to generate the correct pulses on the control lines was easy enough, and seemed quicker and cleaner than trying to use somebody else's library. Once I had code for turning each motor in either direction, I created an outer loop that would perform one “move” per iteration. At the beginning of each “move,” several pseudo-random numbers are generated and used to decide the length of the move, which of the two motors will be active, and which direction each active motor will turn. The development time for this project was less than one month (including the planning phase). Does anyone else find it ironic that the circuit boards and battery holder are the most expensive things on this list?? The Arduino cost $21.95, but since it's only the programmer, I'm treating it as a piece of equipment rather than part of the project. I said I would give some more details of how the mechanical eyeball works, so here we go. The design uses two motors, enough to turn the eyeball forward or backward around two different axes of rotation. At first I considered driving it with a “reverse mouse wheel” setup, in which each motor turns a roller that touches one side of the ball. But when I sat down with my materials and actually started thinking about how I would mount the motors, I started liking this idea less and less. For this movement to work properly, the rollers need to be held against the ball with enough pressure that they won't slip, but not so much that the whole thing binds up and stops turning … not a big problem if you have a well-constructed housing to hold everything together, but I had cardboard and ice pop sticks to work with. You can only make things so precise with those materials. Okay, not very precise at all, usually. Thinking about how my own eyeball works, I thought of connecting strings to four points around the ball to act as “muscles.” But muscles can only pull, not push, and I didn't want to be doubling the number of motors needed. I wound a pair of strings around each motor shaft so that when the shaft turns, one string loosens as the other tightens … so a single motor can drive a differential pair of “muscles.” The motor shafts are made from ballpoint pens, and the plastic is soft enough that I could poke holes in the shafts and thread the strings through them. This arrangement seems far more reliable than the reverse mouse wheel drive. If the shaft turns, the eyeball moves, even if things have (ahem) shifted around a bit inside the housing; there's no need to worry about rollers slipping. When the eyeball was undergoing its major demonstration (at work on Halloween), I discovered a couple of minor problems. One of the strings got snagged on a protruding piece of wire and had to be manually disentangled, and another frayed through because it was routed around one of the ice pop sticks and was rubbing against it constantly. I think I can avoid this in the next design iteration with more durable strings (perhaps a polymer monofilament line instead of embroidery thread) and more care given to string routing and possible snag points. I actually went to several stores trying to get a ball that would work for this project. Originally I wanted one without holes. It also needed to be hollow so I could put a camera inside some future version, and needed a fairly smooth, rigid surface so it could turn easily in the cradle. The only ball I could find that met the other requirements and was about the right size was a wiffle ball, so I had to live with the holes. Then I decided to use the muscle drive, and the holes turned out to be very fortunate, since they made it easy to attach the strings to the ball. This wiffle ball was a one-dollar party favor that came with a little rubber ball that holds flashing LEDs inside … not useful for my purposes, but it doesn't hurt anything. The only problem was the seam where the two halves of the ball were joined together. It wanted to catch on the edge of the cradle when the ball was turned. I solved that problem by filling the crack at the seam with superglue, then vigorously sanding all around the circumference of the ball until the seam was smooth. 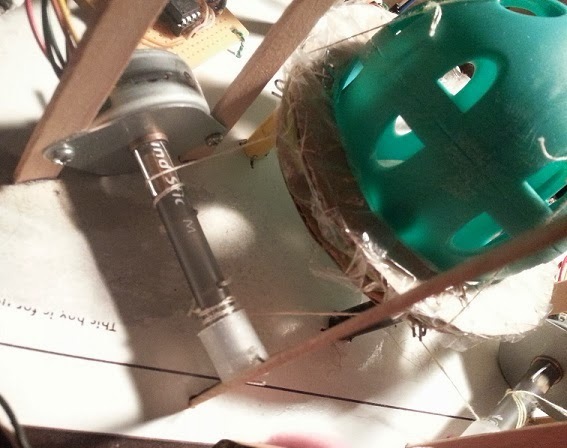 Closeup of one of the motors and the ball cradle. I'll go into the electronics and software in another post. * This model doesn't seem to be available any more, at least not in hobbyist quantities. If you're looking for an extremely cheap stepper motor, the best replacement I can find is this. Did you miss Part II? Click here. We still have two years (perhaps more, if the schedule proves unruly) to wait for the development of Obduction. Little is certain in this world. Perhaps it will prove a wild success and lead to a revival of not only Cyan, but the entire adventure gaming genre … or perhaps it will turn out to be only a kind of last hurrah. But there is hope, now. And with the KickStarter behind us, largely unnoticed by the world at large but momentous to those who were deeply involved, I take a moment of reflection. Why did I bother writing all this down, and what have I learned? Much. There is meaning and power in cyberspace, for those who know where to find it. I submit the evidence for your inspection. Read the personal stories on ThankYouCyan.com, or comb through the comments left by some of the 22,000 backers. Here's a single example that I grabbed from the KickStarter comment stream, written by Cheryl Blaser: "There has never been any real magic or adventure since I lost track of my linking book. I feel like I wandered around for a very long time and finally found it. I'm afraid to hope that I might get to go home and I'm so ready. So very, very ready." I have a hard time believing that Cyan's games could have received a response attended by such strong emotions and enthusiasm unless they truly touched a chord in people. They seem to be providing comfort to some deep yearning, some unsatisfied need within their adherents. Perhaps it's the human desire to explore, frustrated in an increasingly crowded world whose remaining frontiers seem inaccessible. Perhaps it's a longing for peace; though the Ages of Cyan's games contain their own conflicts, they still often seem like a refuge from our world, in which the innocent but clever player character can bring healing without ever carrying a weapon. Whatever it is, it draws me back to the well-worn locations of Myst and its sequels again and again, even when the puzzles no longer hold any challenge and I know the story like the back of my hand. These past weeks have taught me that I'm not the only one who feels a deep connection to these virtual landscapes. Game developers, take note of your power. You can use it … for good or evil. Gehn writes a Link to a previously unexplored world defined by his imagination. Some may deride these digital pursuits for drawing people away from the real world and causing a loss of connection with our immediate surroundings. But what is “real,” and why this narrow preference for physicality? I submit to you that the physical world in which we live finds its main importance in its impact on the minds and hearts of beings. History is a matter of the human soul. And the soul can live in these virtual spaces, in abstract walls of comment text or computer-generated underground caverns, though the body must remain seated at a computer terminal somewhere. The events we all experienced on the 15th of the November were no less historical because they took place on websites and inside virtual worlds. We were there for a new beginning. We saw it, we documented it, and we shaped it. We were part of something real. Never believe that it's all over. Before the Obduction KickStarter, I feared that Cyan's days of making vivid, expansive adventures might be done, and I knew that the golden age of Uru was done. I regretted missing what I thought was my only chance to be part of a living Cavern. And I never would have anticipated what happened at the end of last week. What else have I assumed was gone forever, unable to be recaptured? What other pointless regrets have I wasted emotional energy on? Even if this brief revival of Uru was a small thing, it has grand implications. I am left with a renewed belief in the infinite possibilities of life. More concept art from Obduction. Aren't you glad this doesn't have to stay on a drawing board? In the midst of my own celebration, I want to take a moment to acknowledge others' grief. KickStarter can seem like the graveyard of hopes for those who can't tap into the magic formula that brings donations. In spite of all the work, creativity, and love invested by their designers and devoted backers, many projects don't make it. And of course there are even deeper troubles that go far beyond the world of crowdfunding projects, failures and sorrows that destroy lives, that may make my glee over our achievements last week seem childish and insignificant. But while Cyan's experience is not universal, I think the lesson of it still has meaning for these tragedies. When the money won't come, when no one seems to care, when everything is bleak and the possibility of success appears to have closed with finality … it's not the end. Just as I never expected the changes that led to a crowd of us meeting RAWA “face-to-face” in Uru, you may never expect the turn of events that brings you out of whatever pit you may be stuck in. Don't give up. What's next for Cyan and Obduction, for Myst and Uru, for me and you? I really don't know. That's part of the fun. This is only a taste. In his novel That Hideous Strength, C. S. Lewis speaks of the corrupt present world as being “haunted” by a heavenly vision which lurks beneath the surface, awaiting its time to break through. I believe it was an instance of this haunting that touched me last week. Though special in its own right, this resurgence was a glimmer behind a blind, a foreshadowing, a part of something much larger that let just a bit of itself peek through the covering for a moment. Let me see if I can explain what I'm getting at. I've already mentioned that I perceive what I observed last week as a kind of resurrection. As a Christian, I can't help but think back to the resurrection of Christ, which ultimately makes all other resurrections possible. And I can't help but look forward to the final resurrection. All these stories of fall and regrowth … the story of the D'ni, the story of Cyan, the story of me … are bits and pieces of the Great Story that is the fall and restoration of the entire world, whose culmination has not yet arrived. The rejoicing, the reunions of old friends, the return of lost things, the surge of life in empty places, are the things that I am told I have to look forward to as one who has accepted Christ's restoration in my own life. But the scale will be grander, the effect deeper, the healing complete and permanent. It will be, as Yeesha says, “... not a restoration of the outside, of structures and stone ... but of the inside, of hearts and truth.” In one sense, we must not mistake this for something of the far future. God is in the restoration business here, now, for you and for me … if we choose to receive it. But the little victories of the present time are like a warm-up for the big show. Likewise the yearnings that Myst evokes in me seem really to be yearnings for something deeper, something which is soothed by the fantasy but can never be truly satisfied by it. What is this elusive thing that I go looking for in non-physical worlds, and can never quite seem to catch and bring back with me? Perhaps it's really nothing more than a thinly disguised yearning for Heaven. Lewis again articulates it very well in his book The Weight of Glory: "In speaking of this desire for our own faroff country, which we find in ourselves even now, I feel a certain shyness. I am almost committing an indecency. I am trying to rip open the inconsolable secret in each one of you—the secret which hurts so much that you take your revenge on it by calling it names like Nostalgia and Romanticism and Adolescence; the secret also which pierces with such sweetness that when, in very intimate conversation, the mention of it becomes imminent, we grow awkward and affect to laugh at ourselves; the secret we cannot hide and cannot tell, though we desire to do both. We cannot tell it because it is a desire for something that has never actually appeared in our experience. We cannot hide it because our experience is constantly suggesting it, and we betray ourselves like lovers at the mention of a name. Our commonest expedient is to call it beauty and behave as if that had settled the matter. … The books or the music in which we thought the beauty was located will betray us if we trust to them; it was not in them, it only came through them, and what came through them was longing. These things—the beauty, the memory of our own past—are good images of what we really desire; but if they are mistaken for the thing itself they turn into dumb idols, breaking the hearts of their worshippers. For they are not the thing itself; they are only the scent of a flower we have not found, the echo of a tune we have not heard, news from a country we have never yet visited.” Myst V is particularly good/bad about evoking this. As the game ends (assuming you found the best ending), Atrus and Yeesha welcome you to D'ni restored. You're lifted up and given a view of lush green country from the air. Then boom … the credits roll. You've been handed the keys to the kingdom, and not allowed to go in. But don't be disappointed; be patient … and look, as Lewis advises, for the thing that is coming through. The Age of Releeshahn, a starting point for the reborn civilization of D'ni. Okay, so, I think Cyan's games and the events of last week are pretty great. But what do they point to? What do they mean? If I'm right about what I said above … if they're really the mark of something greater … it means I have a whole lot to look forward to. It's Sunday again. Finishing this three-part article has taken me a week. The American Thanksgiving holiday is just a few days away, and this year, some of the things I am most thankful for are a bit unconventional. I'm thankful for a video game series, a fan community, a new understanding, and a resurrection. I want to thank the Cyan team for the wonderful games that have had such an influence on me. I want to thank them for believing in their dreams enough to come back and try for more. I want to thank all the wonderful people who gave their money, time, and enthusiasm to make funding for Obduction happen. And I want to thank God for letting me be a part of the experience and showing me the lessons behind all of it. “The ending has not yet been written.” This is a motto of the Myst series, which I've seen repeated many times during the past weeks. It appears in the forum archives of the Cavern-dwellers' defiant cries when Uru was closed at the end of its time on Gametap. 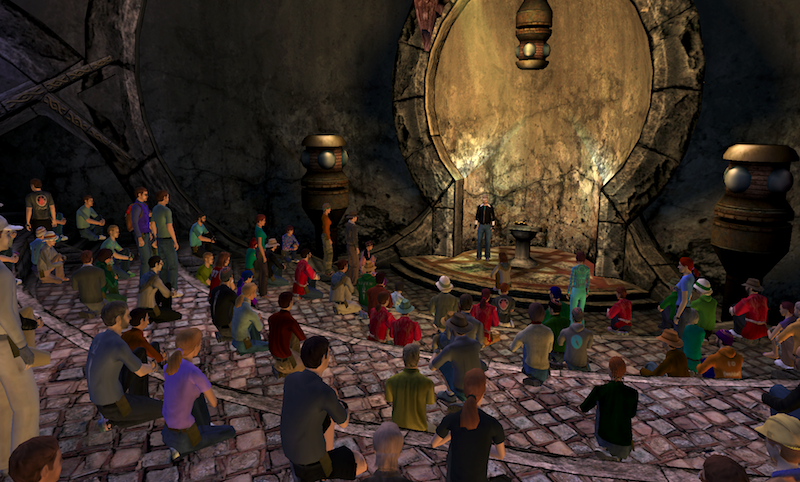 It is echoed in the joyous congratulations voiced on the day of Obduction's funding. And now, more than ever, I know it's true. Some need to escape, but there's nowhere. But an inner-space trip costs you no fare. Just say it again if we missed it. To a place we know never existed. Those who sow in tears shall reap with joyful shouting. He who goes to and fro weeping, carrying his bag of seed, shall indeed come again with a shout of joy, bringing his sheaves with him. I wouldn't be a very good fan if I didn't give the object of this whole story a little free advertising. Cyan will be collecting additional pre-orders up through the end of February 2014, and using the funds to make Obduction bigger and better. If you found this article interesting and think one of these game experiences might be for you, why not secure your copy? If you've never played Cyan's older games, you can find them on GOG and Steam. Mobile versions are also available for iOS. Obduction, Myst, Riven, Uru, and related characters and images are copyrights of Cyan Inc., Presto Studios, and/or their publishers (Ubisoft, etc.). Did you miss Part I? Click here. As Myst's 20th anniversary quietly passed, there were rumblings of something new under the ground. Cyan's Facebook page began to show more activity, among it an article announcing that a new game was in the works. It would be Myst-like, but not Myst. At last! It wasn't long before a KickStarter campaign for a brand new story called Obduction was announced. The fundraising attempt started with a bang, as eager fans contributed $100,000 in the first seven hours of the campaign. I feel that I should take a few moments to explain what KickStarter is, as some of my readers might not know yet. KickStarter allows various commercial and non-profit ventures to be funded before their production is complete, through a pre-order-like system. Instead of taking out a loan or getting an advance from a publisher, developers with new ideas can go directly to their potential customers for the money they need to bring work to fruition. KickStarter is a type of “crowdfunding,” which means that numerous people (“backers”) contribute small amounts to make up the pool of cash. After being jilted by publishers, Cyan found this technique a natural choice that would allow them to remain completely independent. Their budget was small for the gaming world, but large by KickStarter project standards: 1.1 million dollars. There was also an element of risk: KickStarter doesn't collect money from any of the backers unless a project meets its funding goal. If Cyan couldn't raise the entire $1.1 million in thirty days, they would get nothing at all, and the game would be canceled, at least for the time being. 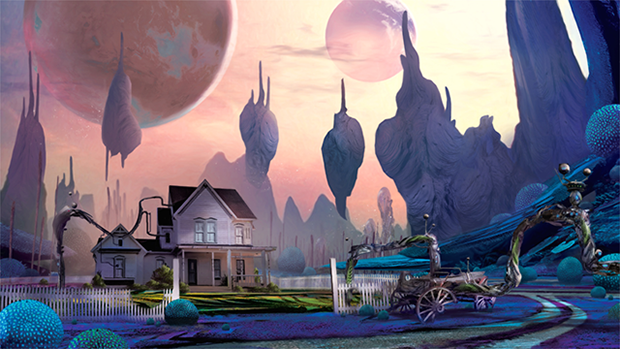 Concept art for Obduction. What is that white farmhouse doing in an alien landscape? Get the game, and you'll find out. Though the fundraising campaign began with an incredible flood of donations, once most of the devoted fans who had immediate knowledge of Obduction had offered their money, incoming pledges slowed to a crawl. I joined the party during this mid-campaign slump. (Although I knew about the effort from Day 1, I delayed pledging until November for personal budgetary reasons, and you don't get to talk to other backers on KickStarter until you make a pledge.) And once I arrived, I found that the fans were responding to the slow progress by taking matters into their own hands. They were making fliers and posters and passing them around so that everybody could use them. They were contacting celebrities that they had an inkling might be old Myst fans. 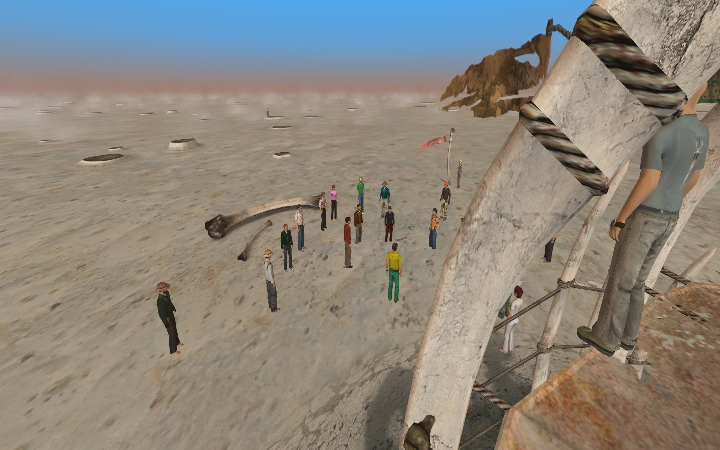 They were getting the word out in virtual communities like Second Life. They were buying Google and Facebook ads to draw more people to the fundraiser. The comments section of the KickStarter page was constantly humming with ideas, accomplishments, speculations, and heartfelt tributes to Cyan's past games. While the US time zones were in bed, fans in Europe, Australia, and other places around the world took up the charge. I'm a horrible advertiser; if there's one activity I hate, it's anything that involves asking people to spend money. But even I got caught up in the effort, in my own mediocre way. I plugged the game on both my social network accounts twice, posted fliers at my workplace and apartment complex, and made an awkward attempt to discuss the situation with my lunch companions. The backers had become an eager amateur PR team that never slept and demanded no payment … save a new game and related goodies from Cyan. Some had learned about the KickStarter because of prior connections, as I had. Others found it seemingly by chance, from things such as the wrong word typed into a search bar. Heroics among the backers ran the gamut from creative determination to encouraging comic relief. Unable to post fliers on her university's bulletin boards due to policy, NomadMolly parked her car in a high-traffic area and taped one to the window. She vowed to show up for the last evening of the campaign, in spite of being a few hours out of hand surgery. Lorna built and maintained a community document to keep all of the PR suggestions in one place; others helped edit and improve it. The excitable Dimitrios kept the hype going in the comment section with overzealous use of his exclamation point key. Griffin and William wrote poetry. After it appeared that large amounts of money came in while Horatio was at lunch, he developed a policy of “lunching” continuously to help the campaign. The mother of a Cyan employee, known on KickStarter as “RAWA's Mama,” showed up to support the project and was quickly adopted by the other backers. Founders of other KickStarter game projects – even some who had not yet met their own goals – dropped in to offer solidarity and promotional help. Many, many more gave their contributions in fan art, tribute videos, and any sort of hook they could think of to draw people in. Cyan employees worked on getting the campaign into the press, but also participated in the comment area and ran online events which allowed fans to ask them questions. An almost familial atmosphere began to develop. NomadMolly's infamous car flier. The flier was designed by Christina “Riv” Hawkes. Doubts were expressed; even Rand Miller, one of Myst's original creators, said there were times when he wasn't sure the campaign would succeed. But the more optimistic backers were always there to squash worries with the wisdom of KickStarter experience, which predicted a steep ramp-up in donations at the end. Feverish calculations were performed in an attempt to rate current progress and predict chances of success. Major milestones were enthusiastically cheered. And slowly, the money gauge continued to rise. As the campaign dragged on through its last two weeks, the suspense intensified. Meanwhile, as they did their best to help Cyan get its new game off the ground, a number of backers were reminiscing about their old Myst experiences. It turned out that I wasn't the only one who had found these games surprisingly powerful, even life-changing. Noticing the many positive stories that were being written and rapidly buried in the KickStarter comments section, a fan named John Cosgrove created a web site called ThankYouCyan, in which he collected many of these notes. A browse through the site reveals that these works move people in the way that only genuine art can. 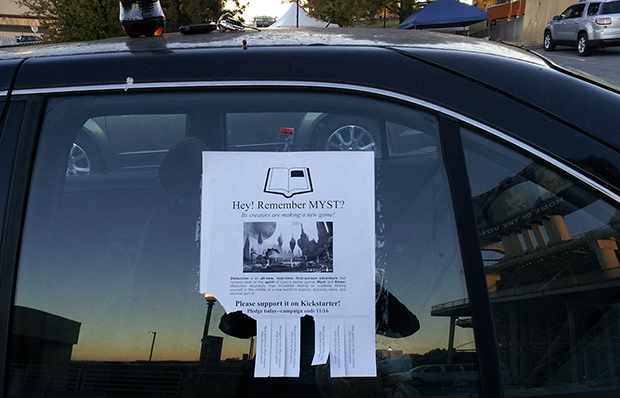 One person even wrote in that the Myst series kept him from suicide. As the KickStarter campaign wore on, the wave of nostalgia carried some supporters back to Uru after long absences. People recalled and shared their old user names, and I observed several delighted little reunions. “Well look who's here! I haven't seen you in forever!” Others discovered Uru for the first time. Those who still remembered the Cavern, or had never left, took up the responsibility of welcoming and assisting newcomers. Uru veteran Tai'lahr created a neighborhood on the server for the “Obductees,” as we were now being called, to gather in. Having made friendly acquaintance with a number of people in the KickStarter comments, I felt emboldened to try a little interaction in the game itself. I worked up my courage, went into Uru's public areas, and actually approached and talked to some other people. The weekend before the KickStarter ended, I was hanging out at a karaoke party conducted in one of the virtual neighborhoods (I had no idea people even did such things), and completing a “door run” puzzle with the help of other players. I left with the contented feeling that I had finally experienced Uru the way it was meant to be enjoyed. And as activity on all fronts continued, I began to feel as if some kind of sleeping giant had been awakened. The final week of the KickStarter began, and things were getting downright distracting. I found myself having to stay late at work in order to put my hours in, because I took so many little breaks to read the comments and see how the funding counter was getting on. (Fortunately flexible hours are allowed where I work, and nobody seemed to care.) The fear of failure that had been evident in previous weeks began to ease. High-profile Twitter users such as Halo developer Bungie and Braid creator Johnathan Blow helped the campaign with favorable tweets. On Wednesday, we got what was likely our biggest break, in the form of a single tweet from Neil Patrick Harris. This tweet came just as the pledge total was creeping up toward 1 million dollars, and the effect was immediate and dramatic. The funding rate spiked as the total shot over $1 million and beyond. The comment section exploded with excitement. Trends and calculations aside, I think there was something about the psychological magic of passing the one million mark that made people certain the project would succeed. The D'ni Musicological Research society cued up an impromptu Shoutcast concert to celebrate. People shouted on their keyboards, “Life! Life in the desert!” and “The tree grows again!” … both references to the restoration of the D'ni civilization of Cyan's stories. And it was then that I began to understand fully what was happening. Not business. Not a game. A resurrection. Something that we had feared dead was coming alive again. A small crowd of Obductees gathers in Uru to watch the KickStarter funding pass its base goal. Screen capture by Tai'lahr. With the one million dollar mark passed and the campaign still basking in the afterglow of its Twitter successes, the actual funding goal of 1.1 million felt almost anti-climactic. It was quickly passed. The backers continued to drum up support to meet the first “stretch goal” of 1.3 million, which would add support for non-English languages and a fascinating virtual reality headset called Oculus Rift (http://www.oculusvr.com/) to the game. But with the end of the campaign fast approaching, attention also turned toward parties … and as it happened, there was one more surprise to come. 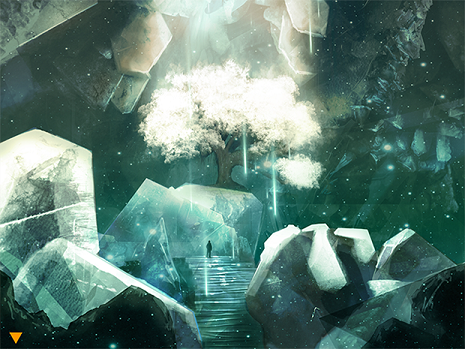 A KickStarter update announced that three Cyan employees would be joining us in the Cavern. RAWA in the auditorium. Screen capture by Ainia. Friday arrived, and I made it home from work in time to partake of all the evening's events. 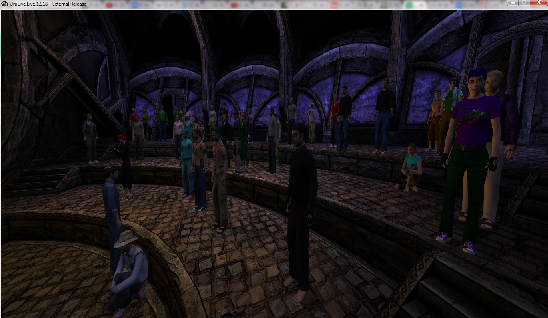 Many of us made our way to Uru and filled the dead D'ni city of Ae'gura with throngs of people. Nearly 150 crowded into an auditorium for a Q&A with RAWA (Richard A. Watson, Cyan's D'ni historian and linguist). The server that was providing this virtual space for us groaned a little under the weight, but held up. Some of the gathered became reporters, capturing video and chat logs of the event. Others tried to establish order by urging people to sit down and establishing a queue for speaking to RAWA. We plied him with questions for over two hours. Then it was time to solve some puzzles with Ryan Warzecha and Lauren Hall-Stigerts, who had been responsible for managing much of Cyan's PR during the KickStarter. Ryan had to leave early to deliver thank-you Skype calls to some of the backers, but Lauren stayed with us almost until the end. We ran around a desert world called Minkata together and nearly got lost in the sandstorms near the edge of the map. Meanwhile on the KickStarter page, the money was still flowing in. I was in Minkata with Lauren and a small group of other explorers, in the wee hours of the morning, when the second stretch goal was achieved. Arrival in Minkata. Lauren (Saxy) is in the center, wearing a black jacket and red pants. I'm the one standing by the flag, with a gray jacket and pith helmet. Screen capture by Christian Walther. The KickStarter officially ended at around 7 AM my time. I stayed awake and saw it through, joining the Cyan team for a last video hangout. As dawn broke outside my Colorado apartment, I raised my mug of water in a toast with them. The KickStarter closed with a total of $1,321,306 contributed by 22,195 backers, placing it among the Top 50 KickStarter projects of all time. I left a celebratory comment, ate some breakfast, and crashed into bed. 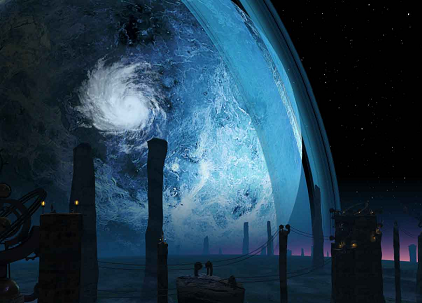 The KickStarter campaign is over, but Obduction and the worlds of Myst are not. Cyan lives. Want to continue to Part III? Click here. It's Sunday as I write this, and people at church have been asking me how my week was. “What have you been up to?” “Did anything special happen?” You bet something special happened, and I'm eager to relate it, to share it, but I don't know how. Events like first dates, babies being born, or even a favorite sports team having a victory, are easily comprehended and celebrated by others … but our shared cultural library doesn't include the things that I experienced last week. I could say that I was present at the resurrection of a video game company, but that might sound a bit weird, and I think most people would miss the significance, or maybe not connect with it at all. There's no way I can convey what happened and what it really meant without spilling a vat of virtual ink, so that's what I am going to do. To begin the story, I have to rewind to when I was eight. (I think. Time gets blurry when I go that far back.) That would make the year 1996. For Christmas that year, my father bought me a copy of a popular PC “game” known as Myst. My introduction to the adventure game genre had actually come some years earlier, when my family played through many of the titles in the King's Quest series, but this was something different – more real, more atmospheric, more fascinating. The inventions that populated the worlds of Myst were remarkable in their own right, both aesthetically and functionally. Bookshelves that become stairs! An entire tree trunk converted into an elevator! A bridge made of gears! This technical bent extended into the journals of an absent character named Atrus, which I read with interest. 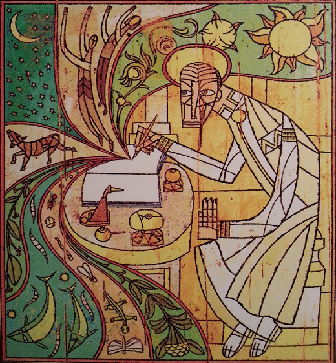 He engaged with many of the worlds he visited by building things there, either to assist their native inhabitants or to aid his own explorations. Fragments of his engineering notes are burned into my memory. “Three meters is not enough support for the beams although … amazingly strong.” I do think that the path of the engineer is in my blood, born more of my nature than outside influences, but this was something that I had to discover about myself, and Myst gave me one of my first definite pushes in that direction. And although I don't know if I consciously picked up on this aspect at the time, Atrus' record of his explorations revealed the same open-minded curiosity and peaceful desire for connection that I would fall in love with when I eventually discovered Star Trek. There was more than empty amusement to be had here, hence the reason I put “game” in quotes when I first mentioned it. Myst had depth and the power to inspire. It meant something. An overhead view of the original Myst Island. 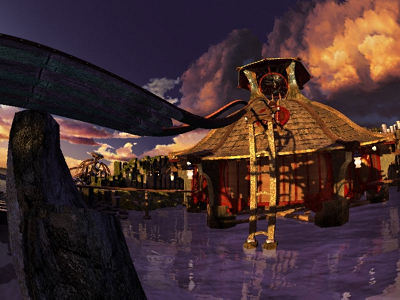 Myst was the brainchild of a small family-run company named Cyan, which branded itself with a CG animation of houses and mountains accompanied by a bouncy tune. You could click through this intro when it played after you started up the game, but I got in the habit of watching it sometimes, because it was like the appetizer before a meal … one of those little signals that tell you, “Something good is on the way.” Cyan had another game, a Myst sequel called Riven, that was released in 1997 – but I had to wait. The family computer was already fast becoming a dinosaur by that time, and couldn't run it. I think I was ten when we finally upgraded, and my high-priority question of the time was, “When are we going to get Riven?” We obtained a copy, and soon my dad and I were off on another adventure. Riven felt even more real than Myst. It seemed that I could almost smell the air, and feel the heat of the tropical sun on my skin. I was again thrilled and inspired by the journals I peeked into. Gehn's questionable motivations aside, his scientific experiments were intriguing, and his goal of rebuilding his civilization from scratch was gutsy. It wasn't long before I was doing my own experiments and beginning to imagine my own inventions. At the same time, Riven subtly instilled in me its philosophy of approaching the unknown without fear and systematically probing for answers. Unsure of what that thing does? Riven encourages you to poke it and find out. 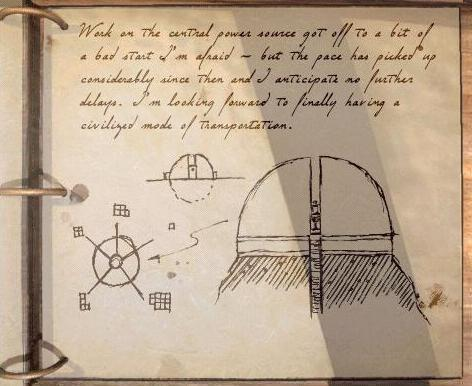 A page from Gehn's journal in Riven. As I moved into my teenage years, Cyan moved on to an ambitious new project: a multiplayer online game called Uru. 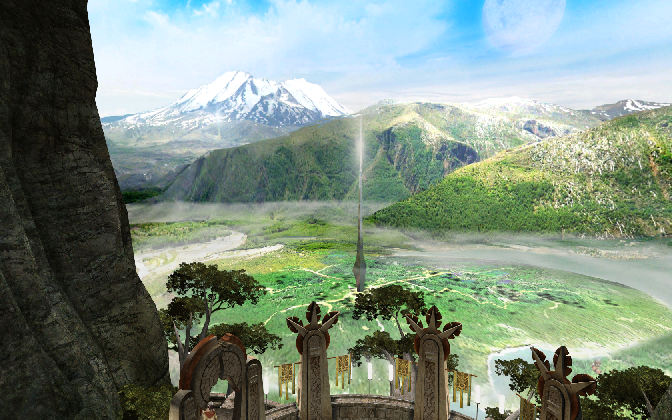 Uru promised a deeper exploration of the history behind the stories in the previous games, perhaps becoming to them what The Silmarillion was to The Lord of the Rings. At the same time, it would involve all of its players in the legacy of that history. Meanwhile, Cyan turned the creation of more Myst sequels over to another company called Presto Studios. I received the first of these (Myst III: Exile) as another Christmas present in 2002. Its power excelled even that of the first two games, but this time it was not the science and the machinery that really shone out (though these things were still present and fascinating). The most important and lasting impression came from the character interaction. The main antagonist in Exile had a troubled past and was real enough to care about, but distant enough that I didn't feel compelled to take his more obnoxious behaviors personally … even when he wanted to kill me. This combination of factors led to an incredible “a-ha” moment about forgiveness. My previous attitude had been something like, “God, I know You've told me I'm obligated to forgive people so I guess I'll try, but it doesn't make sense and it doesn't feel right.” My journey through the story of Exile taught me that forgiving people was really what I wanted to do all along, without knowing it. And unlike a story from a book or film, which would have made me a passive observer, this narrative was logged in my memory almost as if it had been a real-life experience. It moved me and scared me and gave me strange feelings in my stomach. It stuck with me long after every puzzle had been solved and my Exile disks were gathering dust on the shelf. Amateria from Myst III: Exile. Quite possibly my favorite Age. What I've said above isn't even everything. I don't know if I can adequately explain the role these stories played for me. 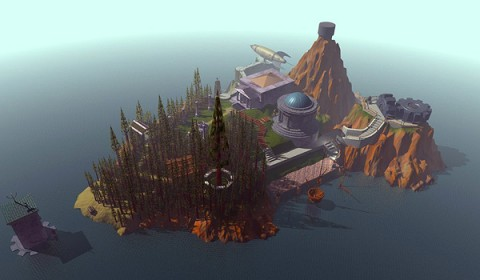 The worlds of Myst and company were as much a part of the world I lived in as the physical ground I walked on. They got entangled with other parts of my life, so that even now, thinking of them pulls back fragmented memories of other things. Even when I think about my walk with God at the time, I don't just picture us walking through school or church, or forest or lawn; I almost feel we were walking through Channelwood or Riven or J'nanin. Talking this way about a “video game” makes me feel a little self-conscious. I worry what some people will think when I admit how much I attached to things that appeared on a screen. But it's true, so I'm going to say it. This history is not without its dark places, however. From a distance, as it were, I heard hints about Cyan's development of Uru. With (at first) a dial-up internet connection and (always) not enough money to justify paying monthly subscription fees, I was left out of the multiplayer version. Hence I missed all of the associated drama. The game was canceled by the first publisher Cyan chose for it before it could even be launched. It eventually moved to the GameTap service, where it lived for less than two years before being canceled again. Uru was troubled by technical problems, multiplayer features that could be difficult to figure out, and slow production of new content. Nonetheless, the dedicated fans still loved it. Maybe it's for the best that I wasn't there. Knowing what I do now, I can see that Uru's closure was an emotional event for many. As for Cyan, they had poured most of the proceeds from Myst and Riven into a bold venture that turned out to be unprofitable, and there was little left for them. They scraped together Myst V: End of Ages, closing out the stories begun in the Myst series and Uru. I played this game during my third summer of college, recognizing it as the conclusion of the Myst series, but little knowing that it was the last game Cyan planned to produce. True, I was slightly worried: Cyan practically WAS Myst. What would they do now that their iconic mythos had been wrapped up? But I was oblivious to the fact that at one point, Cyan nearly closed down. From the grand success of Myst, which sold 6 million copies, it plunged into a dismal failure that left it gasping for air. Like the mythical D'ni civilization around which it had built its stories, Cyan was almost extinguished. The Age of Todelmer from Myst V. Screen capture by jmcgaw of the Ubisoft forums. A few years ago, after who-knows-how-many replays of various Myst games, I thought of Cyan again and wondered if they might be producing anything new. I went searching, and found a barren web site which talked about re-releases of the Myst series. I cringed a little inside when I saw that Cyan had apparently turned to developing cheap mobile games – not a bad thing, certainly, but beneath the company I had come to love. I restlessly checked the website again a few months later, with exactly the same result. As it turns out, the people of Cyan weren't any more content with the situation than I was. Ryan Miller is quoted in the previously linked Inlander article as saying, "We were the patient with the IV drip, and there were times you said, ‘You know what, you need to pull the plug.’ This is not the life you want to live." My researches also showed that UruOnline had been revived, but only as a fan-driven venture supported by donations. Gone were the days when Cyan would develop new content, maintain an ever-evolving story, and send employees into the game to run events. The concept sounded more amazing the more I read about it, but Uru had only been around in that form for a short time, and I had missed my chance. I made an account on the new free-to-play version, found it a quiet place, and avoided what visitors there were due to my usual wariness of strangers. I tracked down Cyan's Facebook page as well. It produced an occasional update about yet another re-release, and I left an occasional prodding comment encouraging the production of a new game. And I waited. So much for death. The story doesn't end there. Want to continue to Part II? Click here. Myst, Riven, Uru, and related characters and images are copyrights of Cyan Inc., Presto Studios, and/or their publishers (Ubisoft, etc.). Blog Intro and Mechanical Eyeball! This is a blog for showcasing my forays into hobby robotics, AI, and other engineering or programming projects. I might also talk about video games, wild philosophical ideas, and life in general. 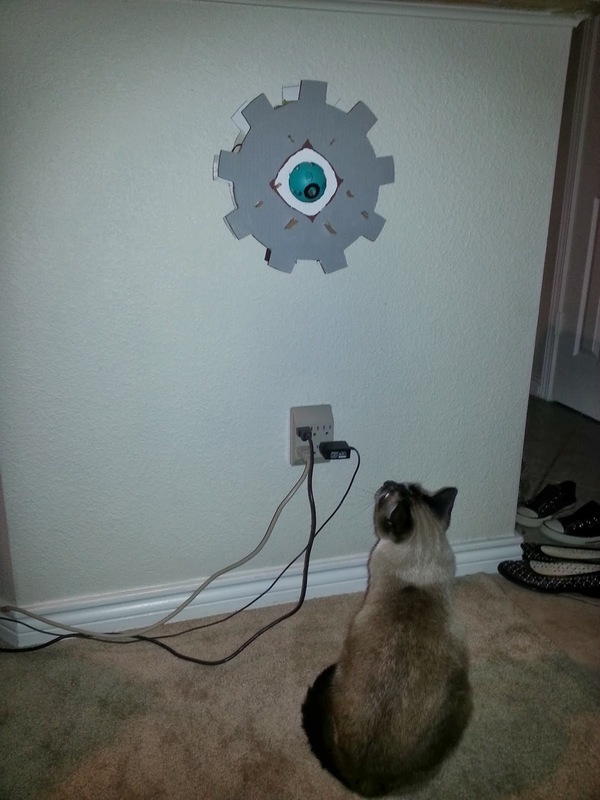 This inaugural post features my recently completed mechanical eye prototype. I'll be breaking down how it works in more detail in future installments. This is part of a larger project that I'm calling "Atronach." At the moment, there is no camera in the eyeball, and it has no tracking capability. It has an independent brain based on an ATTiny microcontroller. The ATTiny runs a pseudo-random number generator program which randomly determines whether the eye will move, how long it will move, and in which direction. The case for it ... isn't that great. It's literally made out of cardboard and ice pop sticks. But it's only a prototype. Once I get some better fabrication tools, I'll make something for it that is sturdier and less ugly. I've been wanting to build Atronach for years. He was originally inspired by those creepy creatures in the walls of Mordack's Castle that would track King Graham as he walked across the room. Yes, the eye is eventually intended to have a camera and tracking ability ... I just haven't gotten that far yet! Here's the completed eye hanging on the wall. I'd also like to introduce you to my sidekick, D'Artagnan. His major skills include being adorable and sitting on everything I need to use. He is not an enchanted wizard in cat form ... I don't think. I got him from a cat rescue, so what do I know?